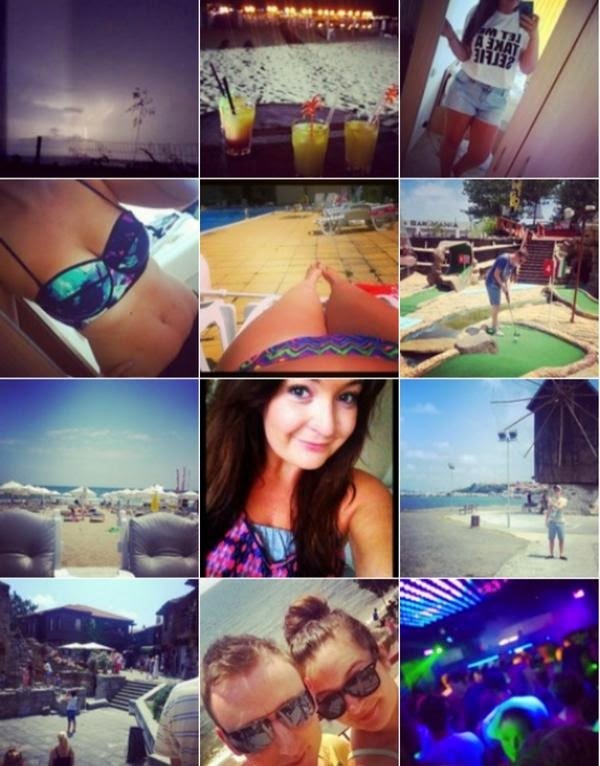 Everything About Sarah.. : Holiday: Bulgaria 2014! We stayed in a little town called Ravda, about 20 minutes away from the Sunny Beach mayhem that you may have seen on TV and it's the second time I've been. It's a lovely little town with a few bars and lovely restaurants and plenty of shops! With the boyf's birthday on the second day, we took advantage of this fact and hit up the strip of Sunny Beach and went round a few bars and finished up in a club called Revolutions - definitely beats the UK version (last photo.. the photos seem to go backwards in date!) We did go to Sunny Beach for a couple of nights out which was good as we got the chance to go into a few bars that we'd seen but not been in and have to say, our last night on holiday being in Sunny Beach was the best way to finish off... plus I got to take my "Let Me Take a Selfie" t-shirt for a test ride which I'm in love with (check out my friend Jen's Facebook page - https://www.facebook.com/CordeliaHandmadeAndVintage) - (photo 2 & 3!). However we did visit Sunny Beach during the day which was a really nice way to chill out in a beach bar and have a cheeky game of crazy golf which believe me, craziest crazy golf ever (photo 6 & 7)! Nessebar is a cute little oldy-worldie town a small bus ride away which is just a lovely little village by the beach. Old fashioned buildings on cobbled street made it a lovely walk (photos 9-11). Other than galavanting on the buses (which were the most unreliable form of public transport I've EVER encountered), the sunworshipper in me came out and lived around the pool or on the beach day after day reading Bridget Jones: Mad About the Boy (photo 4 (absolutely in love with this bikini top and think it is my most ever liked photo on Instagram - @MsSarahJack) & 5). I'd definitely recommend Bulgaria even though it's not somewhere that springs to mind straight away but maybe stick to somewhere away from the Sunny Beach madness if you also want some quiet down time too - it's also mega cheap with most meals costing no more than £10 for 2 people including a cocktail and even sometime a pudding! New girl in the city..
What I wore this week.